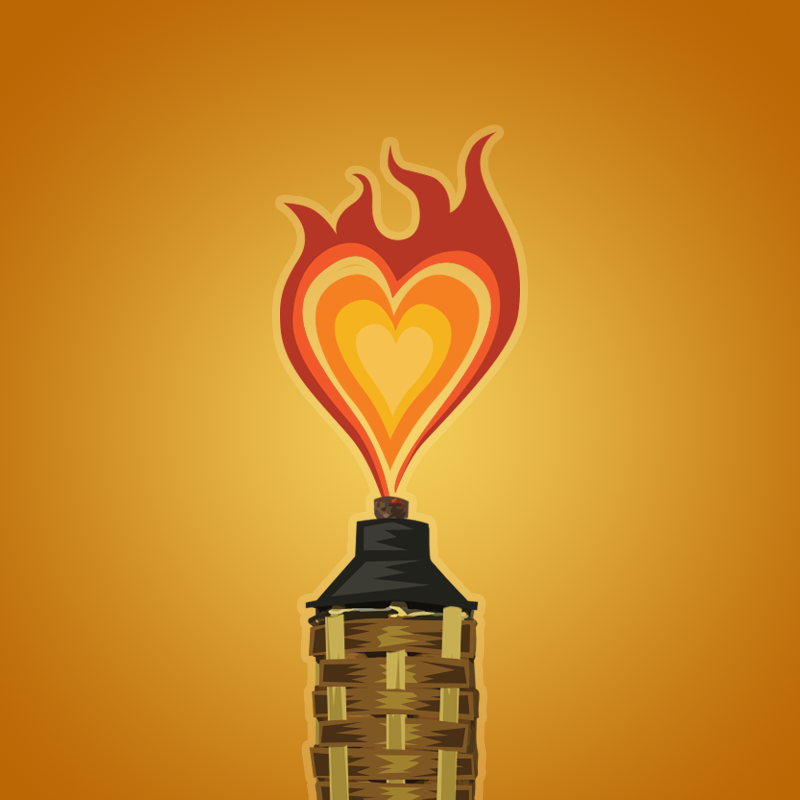 After the events in Charlottesville, I felt the need to counter program the image of the tiki torch associated with hate and violence. The tiki torch is a symbol of fun gatherings of good friends in the spirit of aloha. Mahalo mucho to artist Robert Jimenez (ZeroStreet.com) for bringing my vision to life. Proceeds of any items sold will benefit the Stop Hate Project (8449nohate.org), working for over 50 years to connect organizations fighting hate incidents with legal resources.